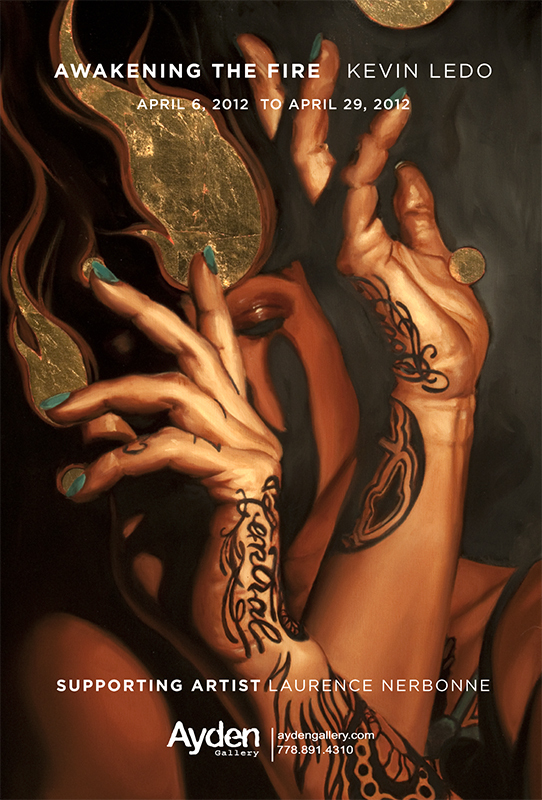 I’m having my next exhibition on April 6th, 2012 at Ayden Gallery in Vancouver, titled Awakening the Fire. I’ll also be showing along side Jose Rivas, an awesome artist from Vancouver, as well as Lawrence Nerbonne, another great artist from Montreal. I’ll be featuring 14 new works that range in size from 12″ x 18″ to 4′ x 5.’ I will be presenting, for the first time, my latest mixed media works on wood. I’m feeling good about the work in this exhibit and I hope you get the chance to check it out.